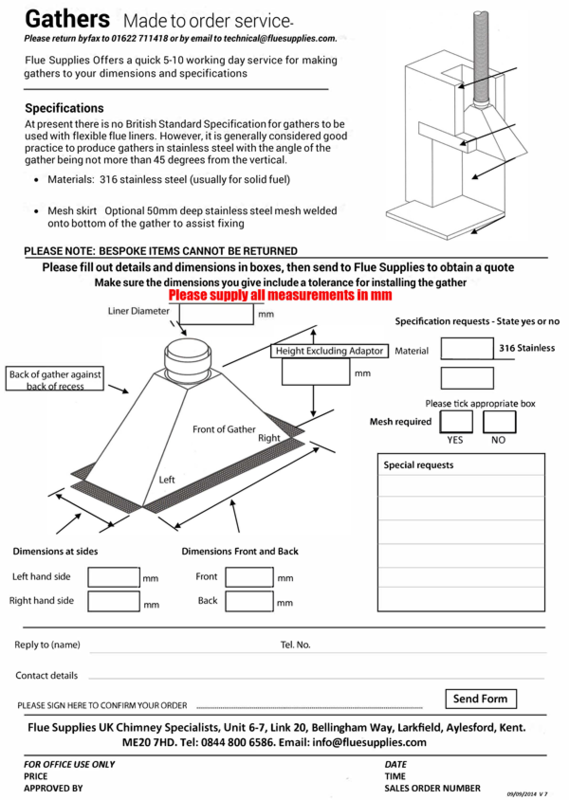 Flue supplies offers a quick 5-10 working day service for making gathers to your dimensions and specifications. Please fill out the pdf provided on the right and hit the send button when finished. Please Note: If using google chrome the form will open automatically but will not send to our technical department. we suggest downloading the form by right clicking the link and hitting save link as. once form has downloaded pleases fill out the form with your specifications and hit the send button, this will open your email account and just hit send in your email account.